We’ve all seen bar soap (which can be stunningly beautiful with swirls, embeds and colors), and liquid soap, and even soap that looks like food. But how about soap that looks completely like something else? Check out these amazing soaps! 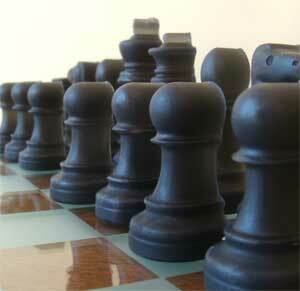 A complete chess set, with pieces ranging from 1.75″ (pawn) to 3″ (king) in white and black. Each piece is detailed and it comes in a variety of scents! Available from A Breath of French Air on etsy. Digital Soaps has some of the most unique soaps I’ve ever seen for the gamer, video enthusiast and geek. 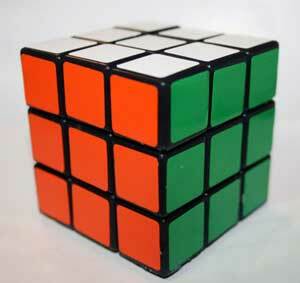 I love the Rubik’s Cube soap (above), just because it looks so perfect. And what about the gamer in your household? Whether they are “old-school” with Tetrus, or more savvy with Playstation, XBox or Wii, you can find soaps to tempt. Hey, what little kid wouldn’t be inclined to spend a little extra time washing up if he can do it with his controller of choice? My grandson would probably jump at the chance to get all sudsy pointing and clicking with a Wii remote. Next best thing to actually playing the game, right? 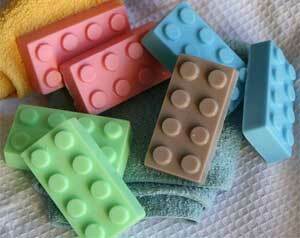 How about some Lego soap for the Lego lover in your household? Old or young, this soap could encourage some hand-scrubbing. Or at least make a great conversation piece in the guest bathroom! From Story Book Soaps on Etsy. 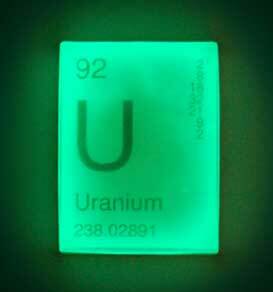 Uranium Glow Soap (no, it doesn’t really have uranium in it) to inspire study of the periodic table. In daylight it just looks pale tan. Oh, No! Frozen in Carbonite! 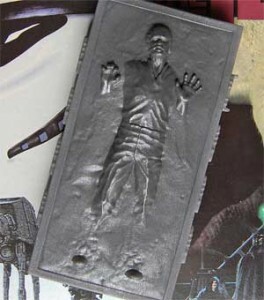 If you enjoyed the first 3 Star Wars movies, you’ll remember that Han Solo was encased in carbonite – frozen for all time (well, until rescued). It was a terrifying moment; awful to consider loosing Han! Now there is soap depicting Han Solo, frozen in carbonite, anguished face just showing and hands reaching out. Soap, because it is liquid when poured and solid when set, is a perfect medium for any shape that can be created from a mold. With the new silicone mold materials, molds can be made from just about anything. Realistic coloring is somewhat harder, though. Besides the few selected above, I found soaps made to look like guns, hand grenades, rubber ducks, robots, belt buckles, office supplies and, of course, many kinds of foods (especially cakes, cupcakes, cookies and dessert items).